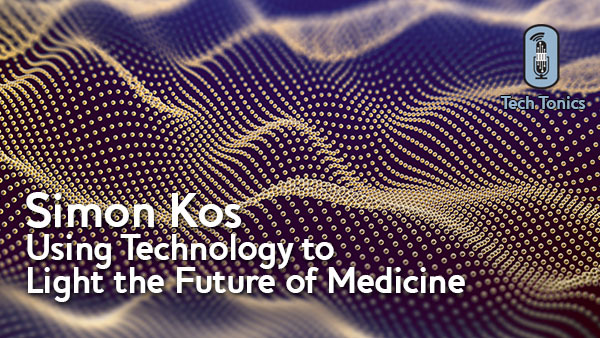 Medical technology thought leader by day, computer gamer by night, Dr. Simon Kos, Global Chief Medical Officer of Microsoft, is a physician, business strategist and technologist who by his own admission is drawn to “bright shiny objects.” But a commitment to make medicine safer and better through technology has been his career guiding light. Simon, an Australia native, was born into a medical family but didn’t know it was his destiny to follow in the family footsteps. He studied to be an engineer and did become a lover of technology, but eventually the pull of fate was too much and Simon ended up in medical school. Yet he was troubled that the time he spent in the critical care unit was fraught with data-free decision making, which made him realize his ultimate purpose: to use technology to improve medicine. While working to spread electronic medical records, thinking they could be the tool that could make the difference, Simon quickly realized there was a big difference between digitization and transformation. He soon began his journey to discover how to use technology as a true means of change management, eventually landing at Microsoft in Australia and then in the global role. Simon loves the latest greatest tech breakthroughs, particularly those that first find a place in other industries, and for that reason has found Microsoft such a stimulating environment. His latest interest is in mixed and virtual reality, thinking about how Hololens can contribute to a better healthcare system, among other things. Simon is also enamored of the latest computer games and spends a lot of time hanging around The Continent, the magical world where Witcher 3 takes place. Witcher 3, for those of you who don’t know, is a very popular open world role playing game where you get to be a monster slayer. Funny that Simon is a doctor focused on healing but loves to play a game that is grisly and violent and surely would deliver people to his critical care unit of old. Perhaps it’s the cool technology combined with the need for human decision making and empathy that reconciles these worlds. You can hear Simon talk about all of this, plus his view on people with special needs and the positive aspects of neurodiversity. As the father of a child with autism, Simon is a champion of helping all people become their best self in the greater community. We are delighted to have had Simon on this week’s show! And we are grateful to Medidata for their sponsorship today. Medidata – the Intelligent Platform for Life Sciences that closes the loop between clinical development and commercialization to power smarter treatments and healthier people.